The T15 are those bookshelf speakers whose high versatility is built to impress. Think brighter highs, a wide-open mid-range and surprising bass response—the perfect entry into high-performance audio. You can enlarge your sound while shrinking the speakers with a reliable bookshelf system. The Polk Audio T15 speakers can blend into the background while delivering impressive tone quality. It can be a superior system that offers balanced drivers and tweeters for a wide response with low distortion. You can pick up the high notes and revel in the powerful bass with Dynamic Balance technology. Each Polk speaker is magnetically shielded to eliminate feedback from nearby electronics. You can see the difference in improved clarity even at higher volumes.You can enjoy clear, rich melodies in the office or at home with the Polk T15 stereo speakers. At 10.6 inches tall, 6.5 inches wide, and 7.2 inches deep, they can easily fit on most shelves. Each speaker features a 0.75 inch tweeter, 5.25 inch driver, and a front firing bass port. Built with Polk’s proprietary technology, they’re designed to deliver great rhythm for your songs and movies. You can add them to your home theater or put a pair in your bedroom for relaxing with some music after a long day. Two midranges and rich bass audio can make this bookshelf system suitable for a college dorm room or office space. With a wall mounting option, these audio speakers do not take up too much space and can be used anywhere indoors. You can love the concert quality sounds that Polk delivers, and you can appreciate how sharp the black speakers look. Five-way binding posts can make it easy to securely hook up almost any audio system. A truly versatile design, they can be used with most home theater receivers, stereos, processors, or even phonographs.Set in a furniture grade MDF cabinet, the housing also reduces resonance for smooth tones free of vibrations. You can get the detailed results you want without losing any floor space. In addition to using them as stand alone speakers, they can also round out an existing system. 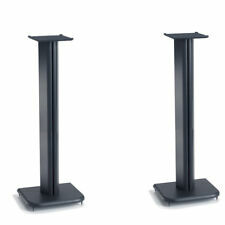 You can make this pair the front or rear set in your surround sound system. The T15 audio system has peak power handling levels of 100 watts with nominal impedance of 8 ohms. You can choose from 20 channels to eliminate interference from other devices. The vented enclosure is safe for indoor use, and the streamlined design can ensure that it will look great on your shelves. The cloth covers are easy to clean, and they can allow the full depth and richness of your music to come through.The Polk T15 speakers are sold as a pair, and you can easily connect them to your sound system with quality wires. They can be used with banana plugs or bare wire. There’s no need to pick up special stands because they can go right on a desk, shelf, or even the floor. They’re lightweight enough that you can also mount them on a vertical surface.Whether you're into gaming or just want to hear the finest melodies possible, the T15 can please you. Ideal for audiophiles of all ages, they can be an excellent addition to any setup. This model is highly durable and designed to provide you with years of service. I have purchased my Polk Audio speakers from many sellers on eBay. The first set from a private party from craigslist at the recommendation from a friend. Two complete 9.2 setups in total and two speakers right from Polk Audio. I am very impressed. The quality is fantastic! A great value new. The used ones I bought from eBay just made them easier for me to afford them using eBay credit. Anyway you buy they are a great sound, clear at any volume. I recommend them highly to everyone who enjoys a good sound. 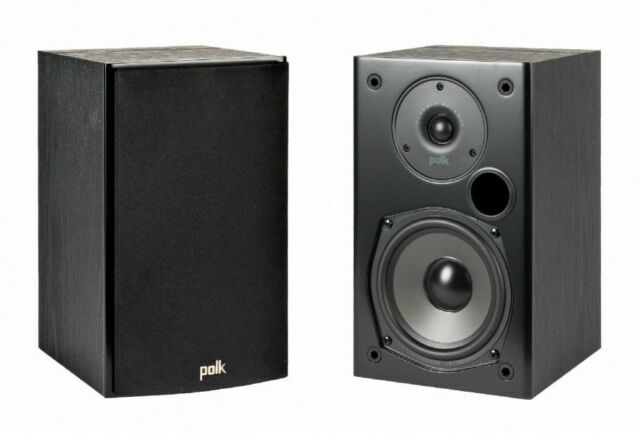 Polk makes a very good lower end speaker. The T5's are perfect for use with my older model Denon AV Receiver. I use it now for FM/AM reception and the quality of the sound is just great for this purpose. I didn't want too much bass because i mostly listen to talk radio and some classic rock stations. Range of the upper end is great. The tweeters are tuned to receive spoken word. Middle range could be cleaner but for the money these are good value bookshelf speakers. If you want bone chilling base and refined high end go spent $1000 per speaker but if you want a good all around speaker for AV or radio listening the T5's are the ticket. Did not try them with my Phono so can's review how these sound on Vinyl. I am very satisfied with my Polk T15 bookshelf speakers, they offer good frequency response and are sensitive to music passages whether big or small. 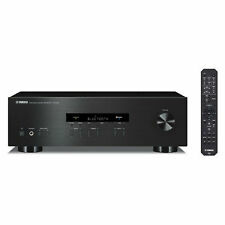 But now I will put them to the test with a new receiver that is capable of putting out 100 watts a channel. I know that they can handle such levels based on their wattage rating and other specifications. They are a great value and perform up to standards set forth by Polk. Though I use them as rear surround speakers they are still an integral part of my 5.1 surround system.